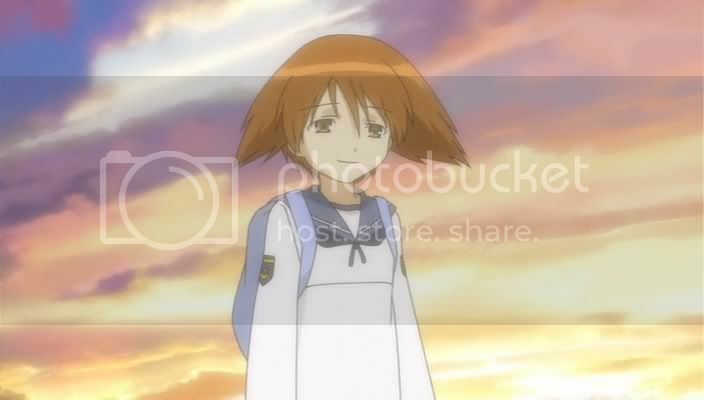 1) This is the greatest eight minutes, 54 seconds of anime EVER. The animation is great, the girls are cute, the setup is completely preposterous, Stonehenge is the airfield, how much more perfect could it be? Please, if there is a kami-sama, let there be more Strike Witches. 1 I do not wish for more of it. It's too perfect, any milking will reduce it. "Preposterous" is the word I was looking for, but my command of the language failed me. 2 If it's perfect and complete, then obviously someone's going to try to do a full 26-episode series. I have to say that the inclusion of the animal ears on the girls is great. Lessee, "mekomimi"? Maybe? "EWWWWWW! It's kawaii! Get it off me! Noooooooooooooooooo! It burns, it burns!" I didn't think a silly OVA about little girls turning into airplanes to fight a war could be cute, but really, this one deserves a place of honor over at Don's place. 4 Yes! Ubu falls as well! All must bow to the mighty greatness of Strike Witches! 5 I wasn't going to blog any more about the subject, but it suddenly occured to me where Saburo Sakai was hiding, and then... But I suspect alone we can't create a surge any more than 20,000 troops in Baghdad. We need leadership. Anyone thinks that the scene in the woods was a parody of Star Wars ep.6? 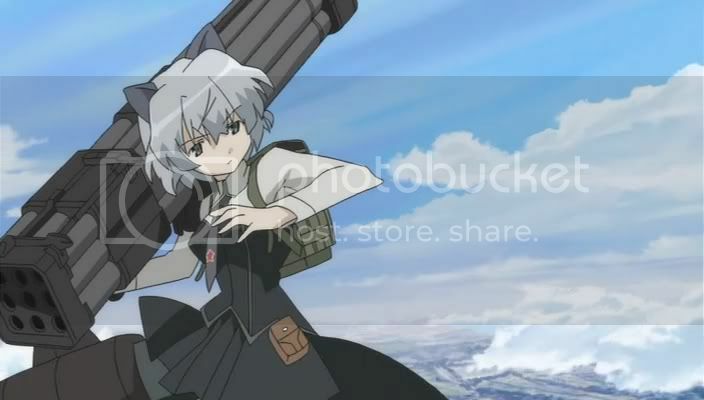 Hey, doo's enybody know what that missile pod thingy Sanya has. if i google missile pod i get the one form halo 3 . 11 It seems to be a variant form of a "Fliegerfaust". 24kb generated in CPU 0.07, elapsed 0.2088 seconds. 47 queries taking 0.1709 seconds, 254 records returned.